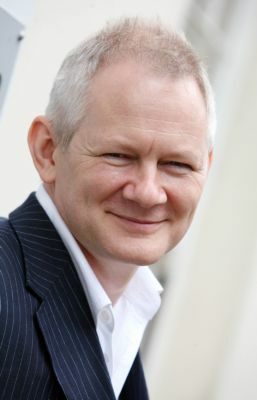 Brand expert and creative-thinking guru, Simon Middleton running a month-long, Brand-athon, offering businesses and organisations free advice on any brand or creative-thinking related question. The Brand-athon kicks off on Monday 11th February and will see Simon and his team attempt to tackle any question, from anywhere in the world, free of charge for a month. Brand expert and creative-thinking guru, Simon Middleton is running a month-long, Brand-athon, offering businesses and organisations free advice on any brand or creative-thinking related question. The Brand-athon kicks off on Monday 11th February and will see Simon and his team attempt to tackle any question, from anywhere in the world, free of charge for a month. Simon Middleton said, "The deal is simple: somebody emails a question and we try to give an answer that is in some way helpful and interesting. There's no fee. And no catch." "We did something similar a couple of years ago and it was a huge success. It just seems to be the ice-breaker that people need to get them talking about brands and creative thinking," continues Middleton. "It is exhausting but hugely invigorating too - last time we ended up talking about everything from how to market the Falkland Islands as a tourist destination to helping the team behind the Richmond Theatre think more creatively." "In business or in any kind of organisation, it is always helpful to have access to a second-opinion from a professional, especially if there is no hidden agenda and the meter isn't ticking," said Middleton. "The fact that these will be enquiries from strangers, and probably with the minimum of information, means that we can give an objective and intuitive view, which we hope will be really useful." According to Middleton, "Not everyone wants to engage a consultant or an agency for a relatively contained or one-off question or issue. And often people don't actually know who to ask. I also find it is good for us to keep challenging ourselves with weird and wonderful new tasks rather than assuming the same solutions solve completely different problems." To take part in this year's Brand-athon and take advantage of the free service, email question to simon @ turtonmiddleton.com. Gordon or Liz at Maw Communications on 01603 505845. Turton Middleton was created as a result of the merger of Turton Design and Advertising and Simon Middleton Company in June 2007. Clients include household names such as Norwich Union, Lidl, Sara Lee, English Country Cottages, and Sandtex. Simon Middleton recently won the Chartered Institute of Marketing's 'Marketer of the Year' award for Norfolk and Suffolk and is one of the region's top brand experts.